Vehicles drive past an expressway overpass in Huadu District, Guangzhou, Guangdong Province, China. 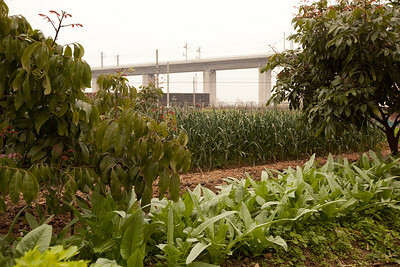 Vegetables grow near high-speed rail tracks in Huadu District, Guangzhou, Guangdong Province, China. 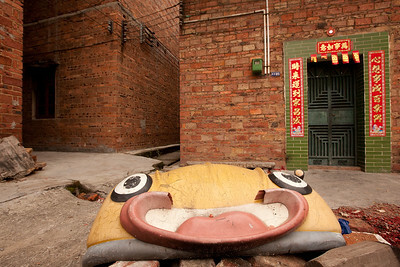 A discarded piece of an amusement park ride sits in a suburban yard in Huadu District, Guangzhou, Guangdong Province, China. 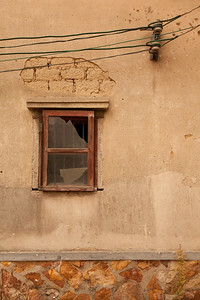 A broken window rests in the wall of an old house in Huadu District, Guangzhou, Guangdong Province, China. 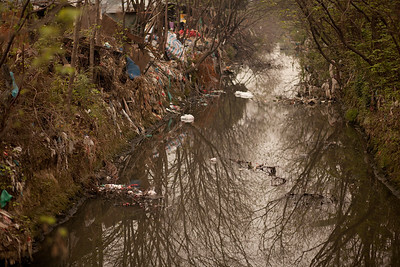 Discarded trash flows through a waterway in Huadu District, Guangzhou, Guangdong Province, China. 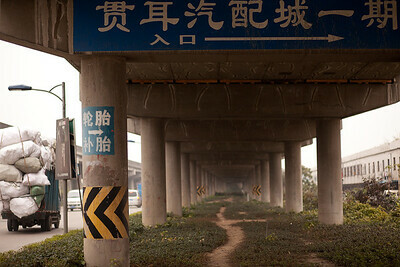 Three people walk under an expressway overpass in Huadu District, Guangzhou, Guangdong Province, China. 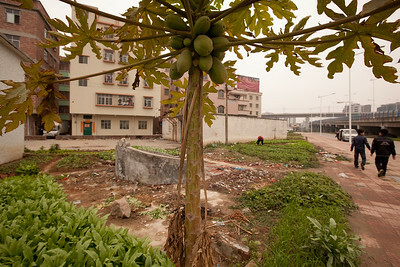 Papayas grow in a suburban garden plot in Huadu District, Guangzhou, Guangdong Province, China.